You are currently browsing the tag archive for the ‘Ricardo Teixeira’ tag. Out With The Old, In With The, Er, Old…. Any hopes the resignation of Ricardo Teixeira as the head of the Brazilian Football Confederation might lead to a wholescale change of the old guard in charge of South American football have been well and truly dashed this week. First, Teixeira was replaced by 79-year old Jose Maria Marin, a one-time politician appointed by Brazil’s military dictators and who earlier this year was caught on camera pilfering a young lad’s medal at a football tournament. Del Nero will sit at FIFA’s top table alongside Nicolas Leoz, the 83-year old head of Conmebol, the South American Football Confederation, and Julio Grondona, 80, the man who has presided over Argentine football since 1979. None of this bodes well for the future of South American football. The Jurassic age continues…. It’s been 17 years, almost to the day, since I last wrote for Reuters. When I left Port-au-Prince in February 1995 to go to Mexico City I cut my ties with the news agency and moved on. Today I saw my name under the Reuters logo again, this time from Brazil. I will be writing about sports, and particularly football, in the months and I hope years to come. 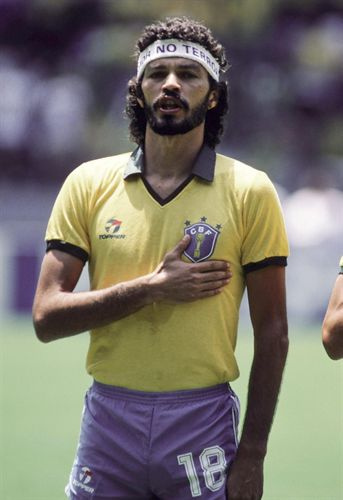 My first piece today was about Ricardo Teixeira, a man I’ve written about many times before. The lead promises more news on the CBF president very soon. The president of the Brazilian Football Confederation and the man charged with organising the 2014 World Cup was reportedly close to resigning on Wednesday after a local newspaper implicated him in another corruption scandal. Ricardo Teixeira, who has headed the CBF for 22 years, could step down as early as Thursday, O Globo newspaper reported. The news came on the day another newspaper, Folha de S.Paulo, reported that a company linked to the football boss overcharged the organisers of a November 2008 friendly match between Brazil and Portugal in Brazil’s capital, Brasilia. For more on Ricardo Teixeira see this earlier post. Ricardo Teixeira doesn’t give many interviews but when he does, they’re worth waiting for. 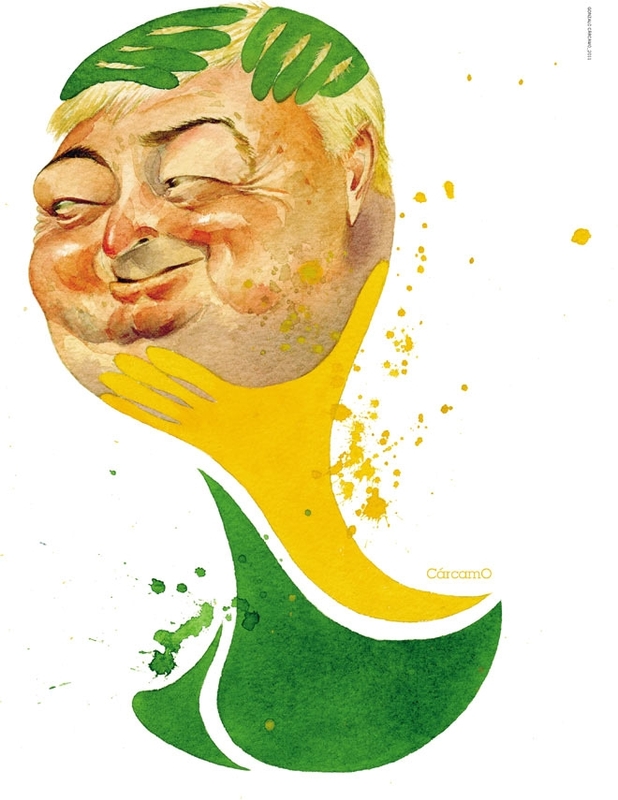 The all-powerful head of the Brazilian Football Confederation and the man in charge of organizing the next World Cup allowed Piauí magazine to accompany him to Switzerland last month for the election of FIFA’s president. The resulting profile is one of the best pieces of journalism I’ve read in years. Teixeira hates the press but reporter Daniela Pinheiro put her considerable charm to work and simply let him talk. He couldn’t resist and her piece has a dozen delicious anecdotes and quotes from the man who could well succeed Sepp Blatter as the most powerful man in football. Teixeira, who has been head of the CBF since 1989, has resolved not to run for president again when his current term ends in 2015. The piece is now available online to subscribers and in English too. It is a must for anyone interested in football or great journalism. The Brazilian Football Confederation has announced that Corinthians as yet unbuilt stadium will host the opening match of the 2014 World Cup. It’s a scandalous and risky decision for a whole number of reasons, not least of which is that no one yet knows anything about the proposed arena. Local media quoted Corinthians President Andres Sanchez as saying the stadium will have 48,000 seats. 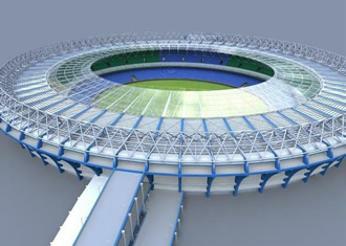 But FIFA states that the venue for the tournament’s opening match must hold 65,000 fans. There’s also no guarantee that the stadium in Itaquera, on São Paulo’s East Side, will be ready in time or that it will meet FIFA’s strict criteria. The area will also need to update transport links, add car parks, and areas to host sponsors. Experts say it takes around 30 months to build a new stadium from scratch, and that’s from the moment the first diggers move in. More time is needed beforehand to complete environmental impact reports, consult residents and do all the other preparation work. The CBF urgently needed to make a decision about which stadium São Paulo would use, having dilly-dallied for far too long. In that sense, it’s action at last. Corinthians, too, can be relieved they are at last getting the stadium they so desperately crave. But this decision looks like one more capricious move by Teixeira. It’s based on personal friendships (with Sanchez) and vendettas (against São Paulo Futebol Club, owners of the Morumbi).